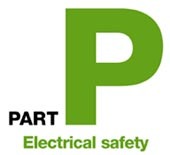 Are you looking for a reliable electrician in North Yorkshire? At K W Grant, we have professional electricians in our team to take care of all of your wiring and electrical installations. Committed to providing outstanding workmanship on each and every job they approach, our electricians are second to none in the area. As a member of NICEIC, all work completed by K W Grant is guaranteed to be completed to the highest standard. The NICEIC is the leading electrical contracting industry body in the UK. As a registered member, we are fully certified, up-to-date with building regulations and our team continuously undergo regular training and development. Our customers can rest assured that as NICEIC members, our electrical contractors are among the best in the industry. For a free quotation from our North Yorkshire electricians, call us now on 01904 481 965.